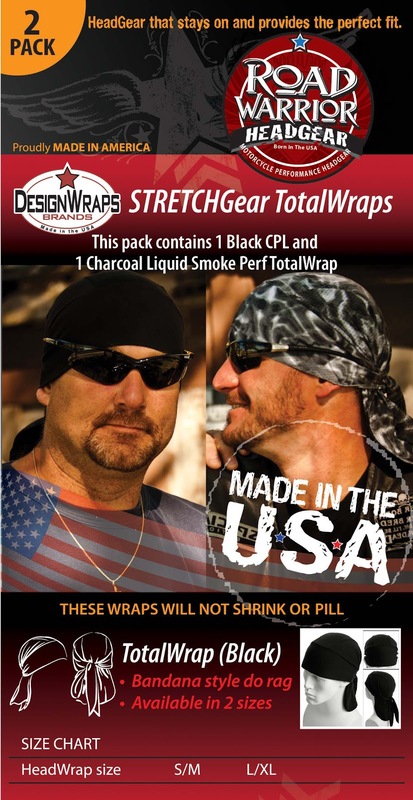 Great Bend, KS – DesignWraps BrandsTM, the world leader and best source for USA made headwear is proud to announce the addition of “New” Road Warrior Headgear Packs…each one with a specific purpose. DesignWraps offers headwraps specifically designed with you, the rider, in mind. 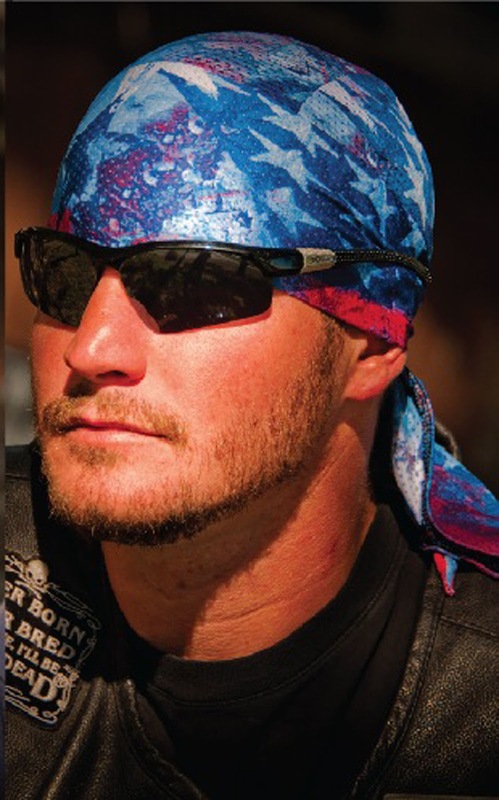 The Road Warrior HeadGear packs, marketed under the RidersWraps brand, contains season-after-season winners. 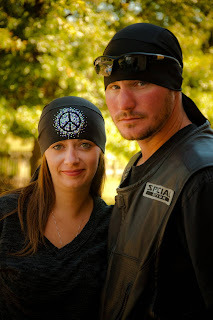 At DesignWraps Brands, our passion and creativity produces RidersWraps, high quality headwear for the motorcycle industry... Where production and quality meet. 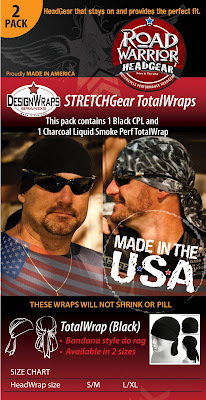 DesignWraps Brands - Where USA MADE means everything! For more information on RidersWraps New Road Warrior HeadGear packs or any of the other products offered by DesignWraps Brands, you can reach them at 877-700-4687, email them at sales@designwraps.com or check them out online at www.designwraps.com.